Meditation has been practiced for thousands of years, so there are countless variations and definitions of the practice. Most forms of meditation offer relaxation — primarily through a quieting of the mind — and create a “pause” from the rapid pace of our lives to let our mind and body “catch up,” re-balance, and re-center. Some styles of meditations rely on complete silence, some employ the repetition of specific words or “mantras,” some offer guided imagery and/or affirmations, some focus on specific energy centers or “chakras,” some utilize specific sounds and music, some have very ancient roots, rituals, and religious traditions. And there are many more varieties and combinations. Some meditations focus primarily on relaxation and the well documented health benefits associated with this. Other meditations go beyond relaxation to help us reconnect with the deeper clarity, power, peace, and wholeness within us. It’s hard to imagine any of the wide variety of meditations that would not be beneficial. Of these varied types of meditations, the “best” type is simply the one you find most beneficial… the type that best matches you. So do experiment… and trust your feelings and instincts. It’s also worth noting that though we may begin meditation for one reason (stress release, improved concentration and focus, deeper rest, etc. ), we may soon discover other and more profound benefits (inner peace and balance, stronger sense of self and purpose, physical and emotional healing). So why is the Buddha smiling? Because it’s finally happened: meditation is mainstream. 1.1 Meditation techniques are not all the same! 1.3 How much time do you have? 1.7 I could never sit like that! 1.9 How much should I pay? Another question to ask yourself: do you want a meditation practice that comes with a religion, philosophy or way of life? Many practices, such as Hindu, Buddhist and Taoist practices, are interwoven into a conceptual world view that’s an intricate part of the practice-whether it’s an approach that contemplates the cosmos and human mind as inseparable elements of a single order, or a world view that strives to get beyond all dogma and see the world as it truly is, it’s still another mentally conceived world view. 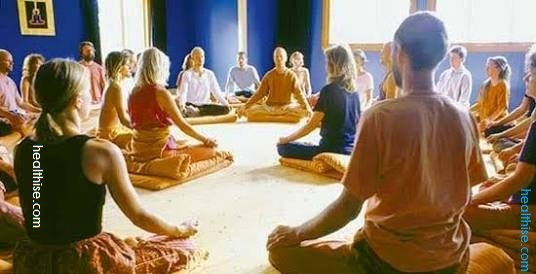 Other practices, such as the form of mindfulness meditation now popular in the West, or the Transcendental Meditation technique, are secular in nature and can be practiced without embracing any particular philosophy, religion or way of life. Certain meditation practices may conflict with your religion or beliefs. 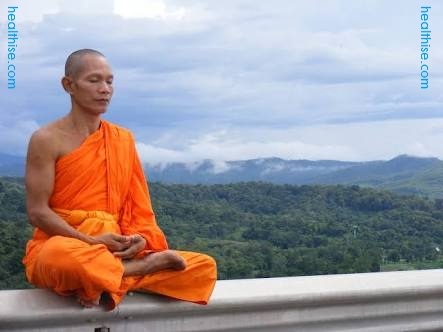 The practice of meditation, though found in almost every religion, has been predominantly associated with traditions of the East (mostly ancient Hinduism which was later adapted by Buddhism and promoted globally). Some of these practices require adherence to beliefs of Eastern philosophy, while others are merely mechanical practices (like watching your breath) extracted from those cultures and applicable to anyone. Granted, the East has much to offer the West-and vice versa-and most people find it possible to incorporate an Eastern-derived meditation practice from an age-old tradition without sacrificing their own personal belief system. A smart meditation practitioner ignores the conflict and move over to embrace the benefits of meditation over mental complexities about other religions. A practical consideration: do you need to sit in a prescribed position to do a particular meditation practice? The popular image of a meditator in leotards sitting cross-legged in full lotus position may have you thinking, “I could never do that.” Don’t be discouraged. Even if you are unable to sit like a pretzel or for an extended period without back support, there are meditation practices that do not require any particular position and are best practiced in your most comfortable easy chair. Some forms of Hindu, Zen and mindfulness are even practiced while walking! 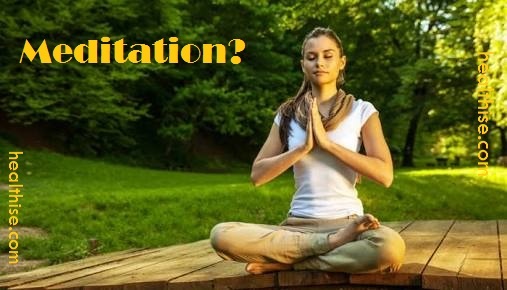 Meditation Benefits: How to Meditate? Trascendental means beyond the World, in other, words beyond the material reality. In order to do trascendental meditation you must concentrate on the nothingness of the World and think apart of your material reality, forget -or ignore- every external stimulation to your body. It is above religion founded by men. It is beyond religion. Indian transcendental method is the best that I have experienced. I m not atheist but good christian.  I was hoping like other meditation article in this website. I will get to know about process. I am describing on mediation process ——– To meditate, find a good time every day to sit for at least 40 minutes–or work up to sitting for 40 min). Don’t worry about sitting cross-legged and all that if it is not comfortable. Keep your back and neck straight and wear clothes or a blanket or shawl to keep warm (body temperature goes does when you meditate) Gently stretch, take a few deep breaths, before you begin and sit and START by watching your mind without following the thoughts. Eventually thoughts will become less noisy. You can focus on an idea then, if you like (a spiritual idea or image or else something that makes you feel expansive or else you can focus on an image or a short word, prayer, sound, or phrase [mantra]. Focus on things helps with concentration and focussing the mind. Some people just like to do this, others want to just remain in an empty mind or expansive feeling. 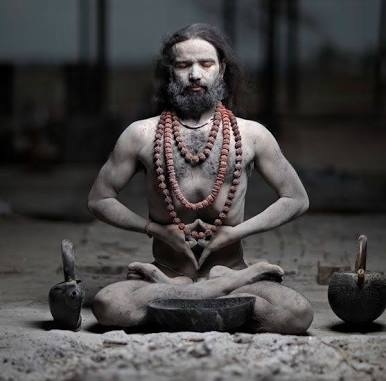 In advanced meditation other effects might occur. When you finished meditating, again take a few deep breaths, stretch or massage your body and feel alert and grounded before you get up and go about your business.